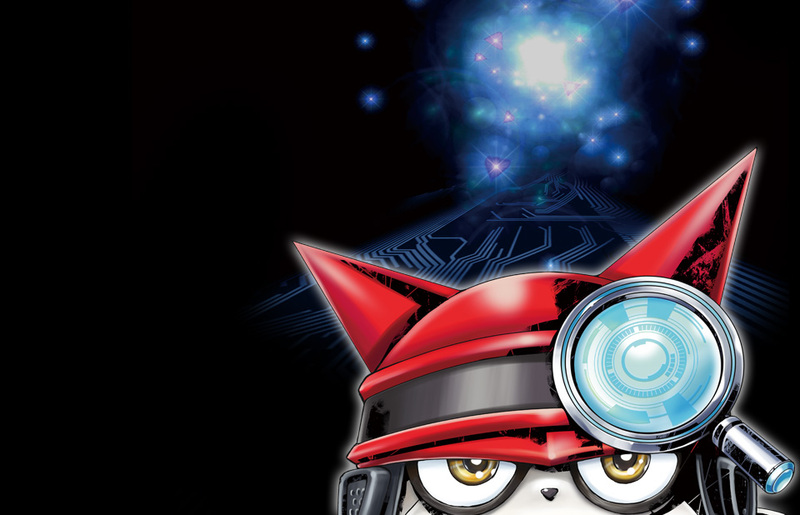 Tamer Union: Digimon Universe Introduces "Appmon" and "Digital Kids Card Game"
Digimon Universe Introduces "Appmon" and "Digital Kids Card Game"
May 20th, 2016. 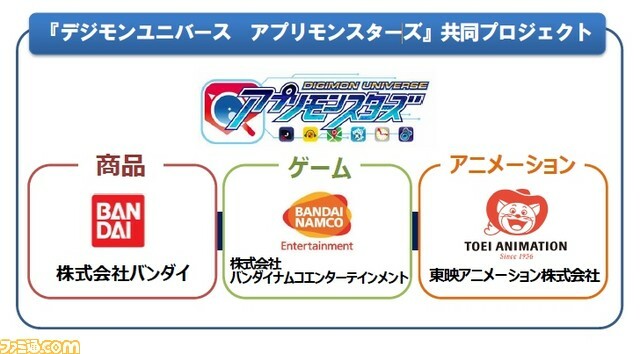 Via Famitsu, Bandai announced today that the Digimon Universe Applimonsters property will be accompanied by a "Digital Kids Card Game" along with other products. The TV anime Digimon Universe Applimonsters will broadcast in Autumn 2016, as part of a cross-media project. The anime will also be accompanied by toys, "video games, and magazines among other things." A description of the anime series was provided, and is translated below. The "Digital Monster," or "Digimon" series for short, originally began in 1997 with the LCD toy "Digital Monster," and in 1999 broadcast as the TV anime Digimon Adventure, from then on becoming beloved by people of all ages. Inheriting that genealogy is the new story Digimon Universe Applimonsters. The keys to Universe are the "smartphone applications" that now connect many people all across the world. The setting is one where lying dormant in those "applications" are artificially intelligence lifeforms "Applimonsters," or "Appmon" for short, of which "There are only as many monsters as are applications." The Digimon series continues to fascinate with a future a little ways ahead. Now in this work, "artificial intelligence" and a tour of battle become a big topic, and "Appmon" play a heated part. Universe is a collaboration between the toy company Bandai, the game company Bandai Namco Entertainment, and the animation studio Toei Animation. More information on the series will be available at the 2016 Tokyo Toy Show on June 9th. The Toy Show will be open to the public beginning on the 11th. since people are in a gaming mood while they are at the casino,jetwin casino many think that they could also play a high stakes game. However, the players,jetwin gambling that you find on pacific poker are not very skilled. It's a very relaxed poker room and is perfect for beginners.